Three law firms are pursuing Tiger Brands in two separate class actions related to listeriosis deaths and illness that could result in the company paying out hundreds of millions of rands. This week Johannesburg-based law firm LHL Attorneys launched a class action application against Tiger Brands, Enterprise Foods and RCL Foods, seeking up to half a billion rands in damages for injury and losses associated with the listeriosis outbreak. “Tiger Brands received founding papers in a certification application this morning and is studying them. Once we have done so, we will be able to consider our position and response,” a Tiger Brands spokesperson said on Friday. Richard Spoor Attorneys and US food safety firm Marler Clark are also ready to file a class action this week against Tiger Brands. The Marler Clark website said the firm had secured more than $600 million (R7 billion) in settlements for its clients to date. Spoor has been leading legal action against gold producers over lung disease silicosis and represented mine workers suffering from asbestosis that resulted in more than R320 million in payouts. LHL Attorneys’ class action is being spearheaded by Wendy Mnguni – an insurance consultant based in Johannesburg who claims to have become ill from eating processed meat contaminated with Listeria monocytogenes, produced by Tiger Brands. “I became severely ill with listeriosis after consuming affected products of [Tiger Brands and Enterprise Foods] and believe it is important to obtain justice for all class members affected by this terrible disease,” Mnguni said in court documents filed this week in Johannesburg. “On or about 11 February, 2018, in Pimville, Soweto, I went to Pick n Pay near Baragwanath Hospital where I purchased Enterprise French Polony. “During the week of 19 February, 2018, and at my house in Pimville, I consumed the Enterprise French Polony. “On or about 5 March 2018, I became very ill. I began sweating a lot and vomiting, as well as having diarrhoea. I did not know what was wrong with me and I was in severe pain and agony. “I was admitted to the hospital for two days and provided with treatment, including having a drip placed in me.” Mnguni attached her hospital records to the court application. However, LHL Attorneys didn’t provide City Press with these records due to “client confidentiality”. “The doctor attending to me diagnosed me with listeria and the doctor explained to me that the likely cause was the consumption of Listeria contaminated food products in the form of processed meat products. Spoor said that he had amassed a group of about 100 clients in the matter, of which about 10 would be identified as “class action representatives”. He said people involved in the matter were based in Cape Town, Durban, Limpopo, the Free State and Gauteng. “We have a very good case for a class action,” he said. The first step in the process was to have a judge certify the class action, the next step would be to prove that Tiger Brands was the cause of the listeriosis epidemic and the last step would be for individuals to prove their claims once the first two steps had been completed, Spoor said. Spoor said Marler Clark had been included in the case because there wasn’t a significant history of food safety litigation in South Africa and the US firm had a lot of legal expertise in this type of law. Marler Clark would bring resources to the listeriosis case as it was a “huge, complex” litigation matter that required significant funding to proceed. Spoor said if Tiger Brands opposed the matter the listeriosis case could take years to resolve. He said in conjunction with the court case, he would be pushing for the government to establish an inquiry into the listeriosis epidemic. In another development, Forensics for Justice said they would open a criminal docket in respect of 180 counts of murder and 479 counts of attempted murder, in the alternative assault occasioning actual bodily harm or grievous bodily harm. “We will share the criminal docket and all information received with attorney Richard Spoor who will be driving the class action against Tiger Brands,” Forensics for Justice said. Paul O’Sullivan, Forensics for Justice founder, said on Friday that he wanted to open the criminal docket by the end of next week. 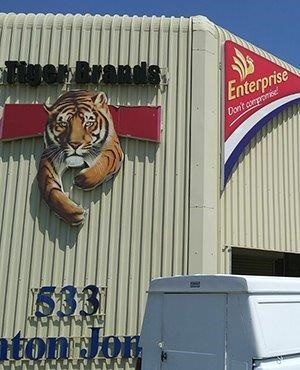 “Tiger Brands does not believe that it is criminally liable as alleged but we will deal with the charges as and when required to do so,” the Tiger Brands spokesperson said. Earlier this month, Health Minister Aaron Motsoaledi announced that the source of the listeriosis outbreak came from two brands of polony made by Enterprise Foods, owned by Tiger Brands, and Rainbow Chicken, which is owned by RCL Foods. The National Institute for Communicable Diseases has put laboratory-confirmed listeriosis at 978 cases including 183 deaths. Since Motsoaledi made his announcement, Tiger Brands’ market value has dropped from R81 billion to as low as R66 billion – a loss of R16 billion. RCL Foods said that Motsoaledi stated that Rainbow polony products they have tested had not contained the Listeria ST6 “outbreak strain”. “Our Wolwehoek polony facility [in the Free State] has been closed and polony products recalled, as a precautionary measure while government investigations continue,” RCL Foods said.